Our food service program provides nutritious meals and snacks through the schools’ meal programs. 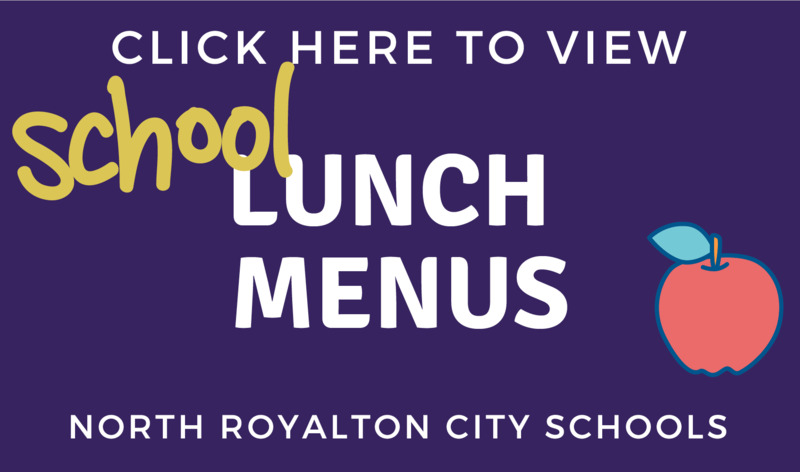 The North Royalton City Schools Food Services Department is overseen by Mary Ellen Feigi who has more than 25 years of experience in the areas of nutrition and food service management. To provide students and staff with nutritious, affordable meals which have been prepared in a safe, sanitary manner, while remaining a self sufficient business. To promote a school-based nutrition program which will serve as a link between students, school food service personnel, administrators, and parents. To promote a positive work environment for employees who are happy and are positive role models for our students. We are providing fresh produce once again this year in several farm-to-school programs. This fall, we provided fresh peaches from Quarry Hill Orchards and different types of apples from Royalton Farms.